There is something to be said for being an honest copper in a world of dangerous criminals. 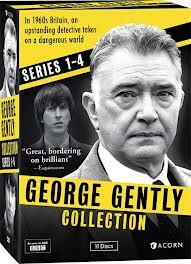 Inspector George Gently, is just such an honest policeman. The first 5 seasons of the series are now available on DVD. Inspector Gently is working as a policeman inside the corrupt London Met when his wife Isabella is killed by a hit and run driver. Gently feels that his attempts to root out corruption and his refusal to be silenced are the reasons that his wife was killed. Devastated, he decides to retire from the force. Before he does, however, he decides to find out why the man he suspects of being behind his wife's murder, the criminal Joe Webster, attended the funeral of a young man in the northeastern area of Northumberland. The local police, thrilled to have such a well-known and experienced policeman in their midst, immediately put Gently in charge of investigating how the young man died. The cause of death was a motorcycle accident, but was it an accident, or murder? 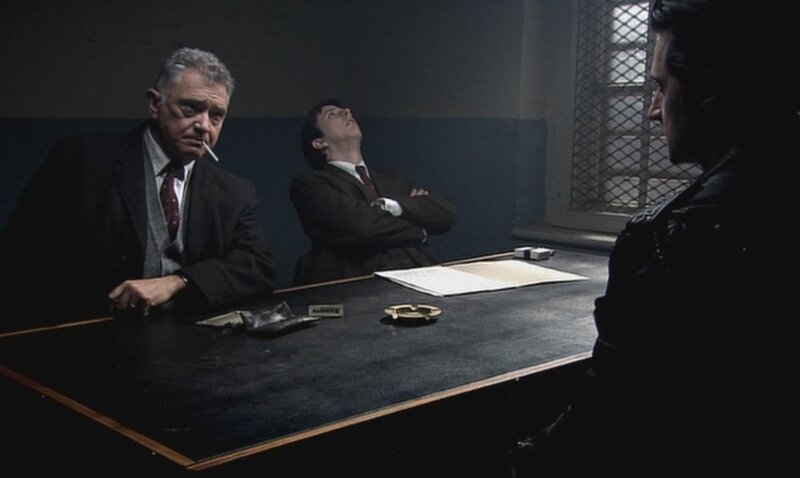 Gently is paired up with a young policeman, DS John Bacchus (played by Lee Ingleby) who is to show him around and work with him. Bacchus is an enthusiastic young sidekick, who wants nothing more than to escape the small police force and move on to bigger and better things in London at the Met. He is the son-in-law of the local Chief Constable, which makes him somewhat reckless in his dealings with suspects. While the events in this series begin in 1964 and times were surely different, the young Bacchus quickly decides who is guilty and then sets about proving it -- whether this involves planting evidence, entrapment, or the occasional man-handling of suspects makes no difference to him. Will his black-and-white views of the law change once he's been exposed to the more experienced and methodical Inspector Gently? 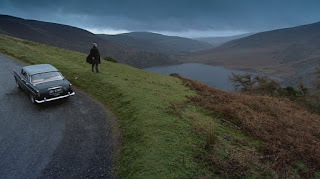 The scenery is gorgeous and plays a part in helping to create an atmosphere in the series, which is based on the novels of Alan Hunter. I really enjoyed the setting of this series, both in terms of the natural beauty and the historical aspects of a changing Britain. Martin Shaw is wonderful as the steady and incorruptible, if sometimes world-weary, Inspector Gently. The series follows the social upheavals that took place during the 1960s, including such issues as immigration, child abuse, racism, illegitimacy, cold war tensions, etc. The series also includes several behind-the-scenes features (including a gorgeous one about filming in the beautiful Durham Cathedral), as well as interviews with the cast and producer and a booklet called "Britain in the 1960s" which helps to put the events from the series into perspective. Season 5 ends on a cliffhanger for the major characters but since season 6 is currently under production, I assume everything turned out all right!